Gone are the days when the mom usually stays at home while the dad goes to the office to work. Nowadays, both parents are working so that they can provide better for the family. But in some instances, there are moms who gets lucky to find work that doesn't require them to go to the office. The perks of course, is being able to be with her child 24/7 although it can be quite challenging when it comes to time management since the mom needs to do her work at home and at the same time look after the kids and her family. Plan ahead and write down everyone's schedule on your calendar such as kids' school program, dental check-ups, grocery day, nail spa, movie date with husband, etc. You can also coordinate with your husband schedule just in case you are working on a deadline. Of course you also need to set a specific time that you need to focus on your work. With this calendar schedule, you get to maximize your time 24/7. Create your own work space at home and set up your home office. It can be in a corner or by the window or you're lucky if you have an extra room that you can use as your office. Teach your kids that this is mommy's working area and that you need an hour or two to accomplish your work. Having a work space at home is also helpful in creating that perfect mood that you need to focus on work. 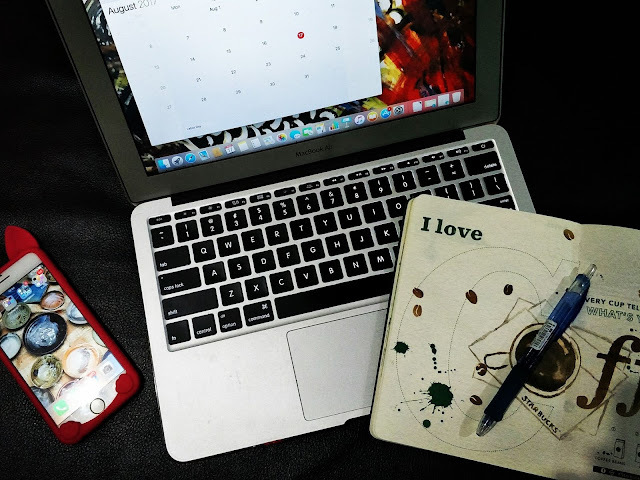 It is really challenging to be a WAHM but if you know how to manage your time well, then it will turn out roses for you. For some, it can be waking up early and for for about an hour until everyone wakes up or during the time when the kids are in school. Others though find it perfect to work in the evening until a few hours after midnight. Who says that you have to break your bone when it comes to finishing work and household chores and looking after the family? There are lots of timesaving tools or those we call- life hacks. This saves you precious minutes from time consuming chores such as cleaning. Another time consuming activity for moms are preparing food for the family. A time-saving tool would be to separate meat or fish in containers for easier cooking. Or prepare adobo and keep it in the fridge so that when you are running for time, you can just easily reheat the adobo. WAHMs will also be happy with Gold Seas Tuna Chunks which are not your usual tuna in can since it is chunkier and uses olive oil. It is so easy to prepare meals with Gold Seas Tuna Chunks especially with the new gourmet flavors: Herb and Garlic, Lemon and Pepper, and Mild Indian Curry.